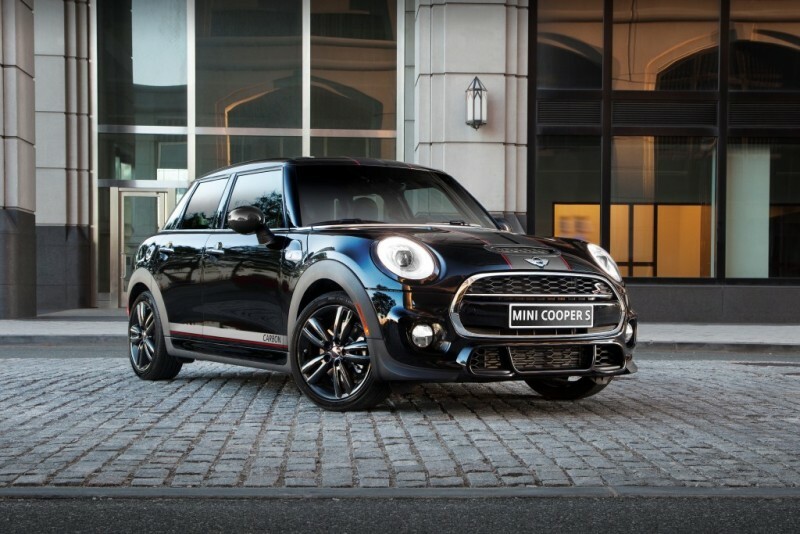 This entry was posted in news special editions and tagged JCW MINI Hardtop 4 Door on December 2, 2015 by James Day. 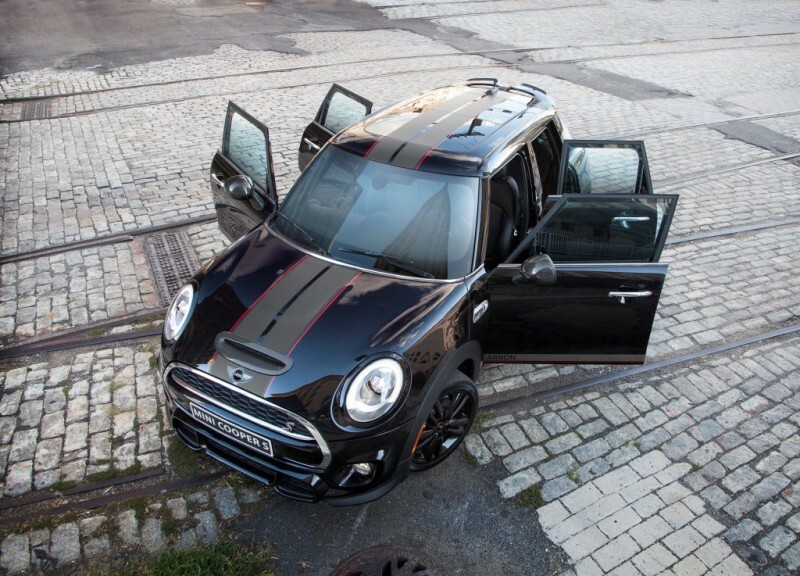 There is no MINI John Cooper Works Hardtop 4 Door. 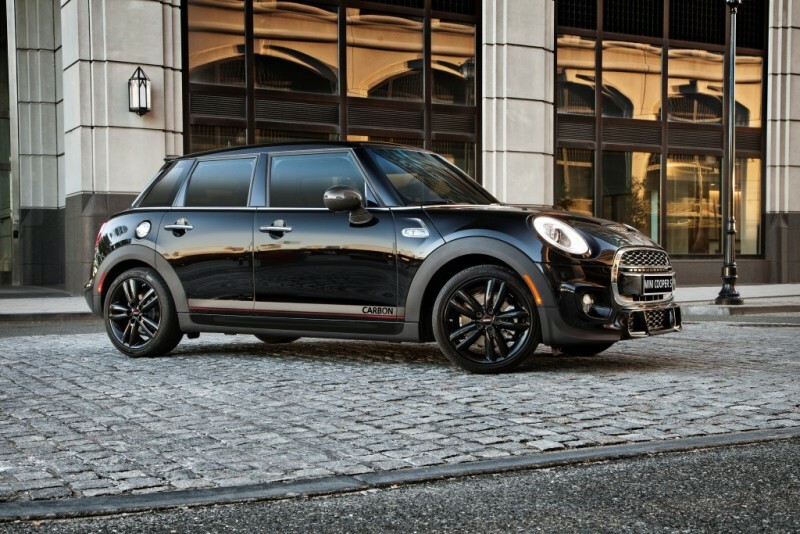 So MINI has done the next-best thing with the MINI Carbon Edition. This MINI Cooper S Hardtop 4 Door features a John Cooper Works Pro Tuning Kit, John Cooper Works Valve Exhaust System, and John Cooper Works Aero Kit. 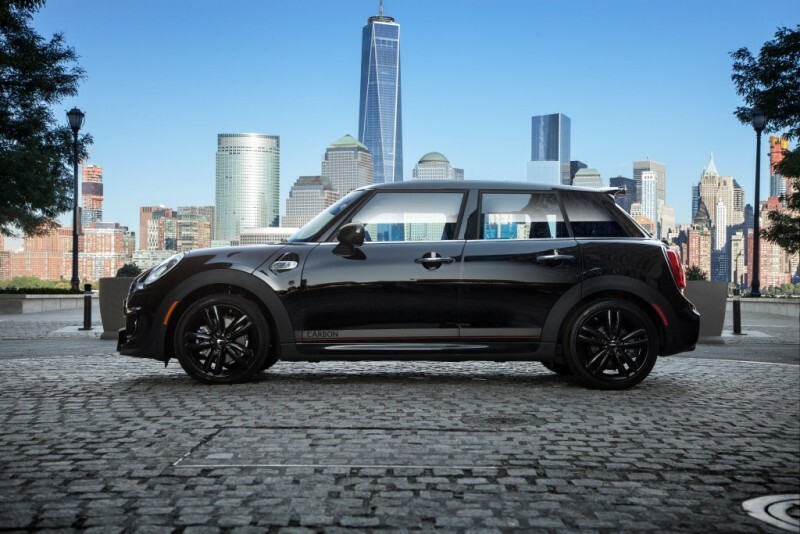 Woodcliff Lake, NJ – December 2, 2015…The Carbon Edition combines the already powerful MINI Cooper S Hardtop 4 Door model with the new John Cooper Works Pro Tuning Kit, valve exhaust system and high-grade carbon fiber accessories. The result is 208 horsepower and an ultra-aggressive exhaust note with Sport and Track Mode*. The exhaust flap is operated wirelessly via two clicks of the Bluetooth controller and unleashes devilish backfire pops and crackling sound on the overrun. Genuine carbon fiber mirror caps, air intake trim, and tailpipe finishers are offset against Midnight Black metallic paint and exclusive matte black sport and side stripes accented by a red pinstripe. 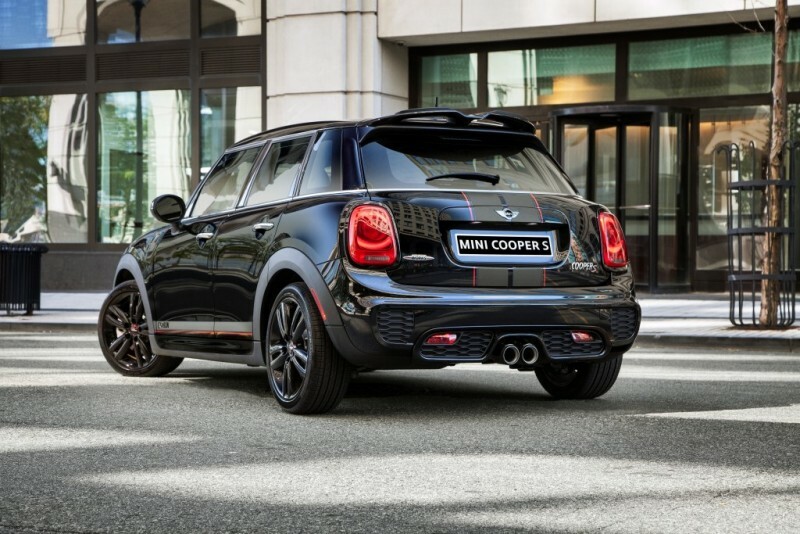 The JCW Exterior Package and additional accessory parts further distinguish the edition, with the aggressively styled body kit, rear spoiler, and 17” JCW Track Spoke Black Wheels. These exterior upgrades are complemented on the interior by an 8.8” high-resolution screen with navigation, JCW steering wheel, sunroof, heated seats, and MINI’s Harman/Kardon premium sound system. Customers looking to order a Carbon Edition should contact their local MINI dealer. 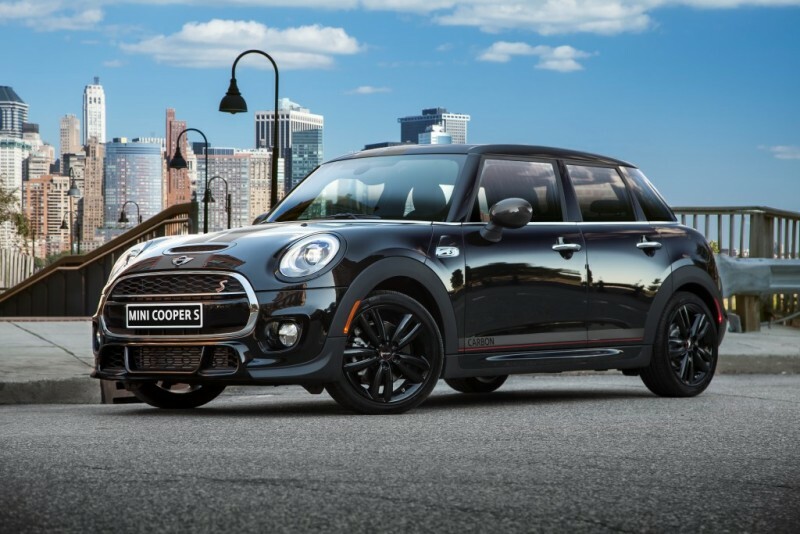 Increases the standard Cooper S engine performance from 189 to 208 horsepower. Delivers superb responsiveness through reduced exhaust gas back pressure and adapted software engine update. Track Mode: For track use only, delivers maximum emotional sound. 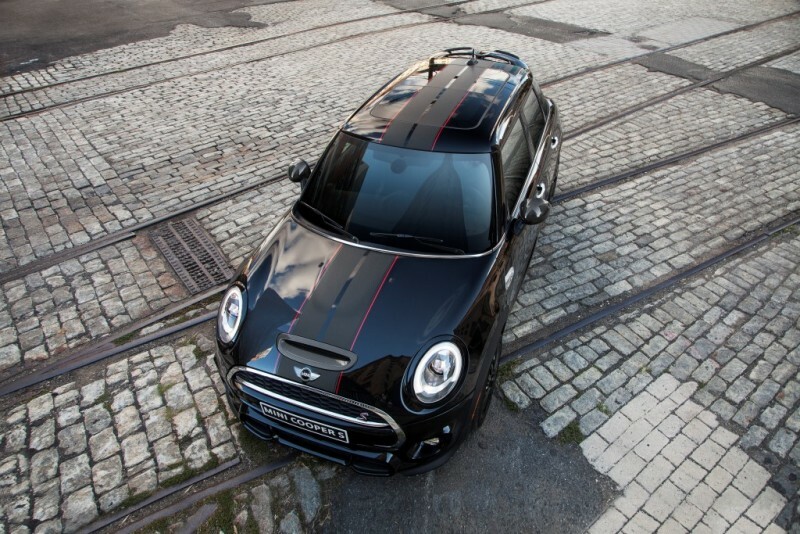 Sport Mode: Significantly sportier and more emotional than the standard Cooper S for everyday use. Made from high-quality stainless steel for exceptional quality and longevity. Controlled via handheld Bluetooth 4.0 Exhaust Remote Control.